The process of measuring an axial thrust load by using a load cell requires a good level of understanding of the concepts of axial thrust load and the general principles of operation of a load cell. The level and depth of understanding will determine how best you decide on the various techniques to choose in measuring an axial thrust. It also determines the type of load cell you choose to use. 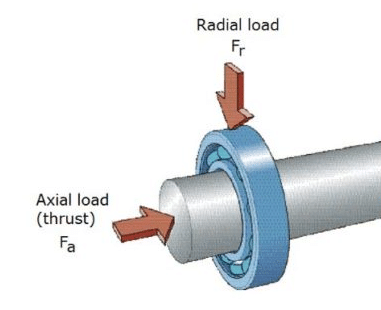 The next two sections of this article will briefly discuss “what is axial thrust” is and load cells in general terms. 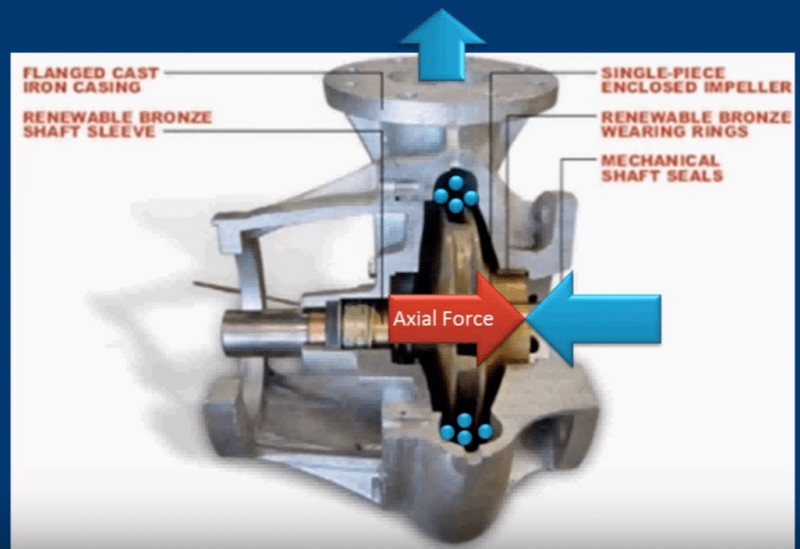 The term axial thrust is made up of two-component words “Axial” and “thrust” hence the compound meaning can be gotten by simply putting together the technical definition of the two words. Axial is an adjective that describes something relating to the axis of an object . Thrust is a verb that describes the action of pushing/propelling an object against a platform in a specified direction . Therefore, it can be said to that thrust is a force, hence a vector quantity. The definitions of these two words show that axial thrust definition means a propelling force that is applied along the axis (also called axial direction) of an object in order to push the object against a platform in a particular direction. This also means that the force acting can that of compression in a negative direction or a tension in a positive direction depending on the point of reference. It is the type of driving force that is generated in the propulsion system of an airplane, a pogo stick, and gears, steam turbines, stage pumps, double suction impeller. There is need for axial thrust balancing in centrifugal pump by the rotor. The next three section of this article briefly discusses how centrifugal pumps work, analyses how axial thrust loads/axial forces are produced inside the pumps and procedures to follow in balancing axial thrust in pumps. A centrifugal pump is a machine that converts rotational kinetic energy (of a rotor) to hydrodynamic energy for the purpose of transporting fluids from one section to another. In other words, it is a machine that generates centrifugal forces that helps to push out the fluids entering it. The inlet side of the machine through which fluid particles enter the pump is called the suction side. The outlet side through which the fluid particles escapes the machine is called the discharge side. The pressure at the discharge side is greater than the pressure at the suction side. Centrifugal pumps have two major components other than the driving unit (e.g. an electric motor). The impeller: This is made of backward curved vanes or blades. The impeller is a rotating part of the centrifugal pump that is connected to the driving unit through a shaft. The impeller vanes rotate counter-clockwise to the motor’s rotor direction so as to be able to push out the fluid particles towards the outlet. There are different types of impellers which are the open impeller, semi-open impeller and shrouded impeller. The volute casing: This is a specially designed spiral casing whose area increases along the direction of fluid flow. This design, therefore, helps to force fluid out the discharge side. The casing protects the pump and houses balancing holes. The balancing holes are points where balancing weights are fixed so as to ensure that the center of mass of the pump’s parts aligns with the center of mass of the driving unit’s rotor (motor’s rotor shaft). The shaft that connects the impeller to the driving unit. The bearings located on the shaft that helps to maintain radial and axial thrust load clearance. A double suction impeller has bearings on both sides (front and back side). The sealing which prevents dirt from entering the parts of the pump and ensures protection against fluids. In single stage pumps, as the device is powered on and the shaft begins to rotate, there are two sets of forces acting on the shaft. The first sets of forces are the radial forces created by the unbalanced pressure by the casing design. The second sets of forces are the axial forces, part of which is caused by the pressure difference between the part of the shaft directly attached to the back side of the impeller and the front side of the impeller. As the fluid gets to the other side of the impeller, that is, the discharge side of the pump, parts of the liquid tend to push against the casing thereby trying to push out the shaft outwards along its axis through the driving unit. The pushback force acting along the shaft’s axis also contributes to the axial thrust. Furthermore, as the shaft rotates and the impellers start to push out fluid, over time dirt particles are deposited on the blades, thereby causing an unbalance in the system. 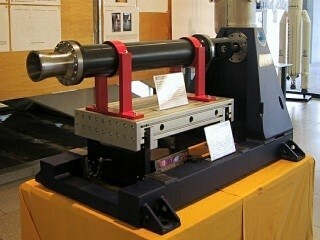 This, therefore, generates axial thrust components on the shaft and the motor. This effect is also common and more frequent in multistage pumps due to the difference in the pressure between the impellers which causes a misalignment in the total axial balance. The process of balancing axial thrust is very important so that the pump can operate properly. Balancing the axial thrust requires the axial thrust to be offset. The use of a balance piston. The balance piston must be placed so that there is an opening beneath it that ensures the fluid flows back towards the inlet. If this is not done, then the pressure exerted on it by the flow of the fluid will also increase the total axial thrust. This balancing will reduce stress and damages to the structure. It will reduce the stress exerted on shaft bearings (wearing rings, loose rings, and thrust bearings). It will also prevent damages to the seal that protects the centrifugal pump. Load cells are sensor devices. Sensors are used to detect a physical stimulus or phenomenon and then produce an output that is proportional to that stimulus. Load cells, in this case, are capable of detecting loads and forces, hence, they are useful for measuring axial thrust load. The load cell system generally is a linear system, however, it is of different types and designs, and hence some may vary in their input-output relationship. Load cells types include pneumatic load cells, hydraulic load cells, strain gauge load cell, capacitive load cell etc. the most commonly used type is the strain gauge load cell due to its several advantages. 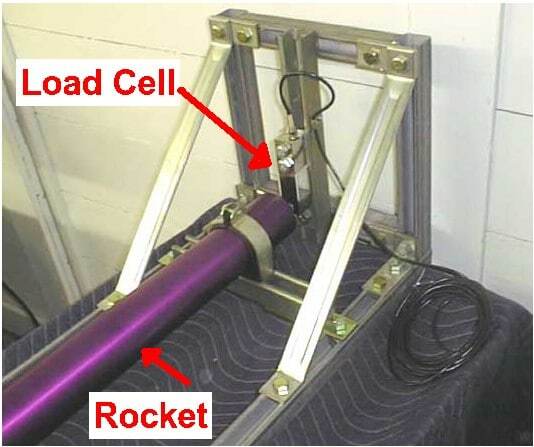 As said earlier, load cells are sensors, however, in modern control systems, especially, the one in this context (measurement of thrust), an electrical transducer is the most efficient sensor type to use. A transducer is a sensor that detects a physical stimulus and then produces an electrical output signal that is proportional to it. Each load cell type can be designed in a way for its output to produce an electrical signal, however, the most convenient and cost-effective type to use is the strain gauge type which is a passive transducer. The figure below shows a simple strain gauge load cell. Load cells have a general principle of operation. The load cell device is made to have a platform on which the load (force/weight) to be quantified is applied. The applied force is transmitted through a medium which acts to produce an output signal. Pneumatic and hydraulic load cells are categorized as force-balance devices. Strain gauge load cells offer the best set of features for measuring a thrust and its underlying mechanism relies on a device called a strain gauge. The strain gauge is the passive element of the device that generates an electrical output signal when a force is applied to the loading point of the load cell. There are various designs of a strain gauge load cell and also configurations of its strain gauges. Processing all the concepts talked about in the earlier sections of this article, let us now take a look at the basic requirements for a simple axial thrust measuring system. Determine The Maximum Force: It is essential to determine the limits of the force that the propeller or the engine will generate. This can be done by mathematical calculations based on the constants and variables of the engine. It is necessary to do this as it will help in selecting a load cell with a rated output capacity equal to or greater than the expected maximum force. Determine The Direction Of The Force: It should be noted that thrust is a reaction force and it will act opposite to the original force generated in an engine. Therefore, in practical terms, always cater to both compression and tensile forces. Select a load cell that can support both directions of forces. Select The Load Cell: Proceed to select the load cell that suits the basic requirements above. Always ensure to check the datasheet of the load cell for its specifications and also its certifications. Certifications will help to ensure that the load cell device has been tested and approved for use, hence, it is safe to work with. The environmental compatibility of the load cell should also be considered. A fixed support frame to which one end of the load cell will be mounted. System Calibration: A simple calibration system for this purpose might utilize a screw jack driven by an electric motor to apply both compressive and tensile forces to the load cell through a series of levers and pull rods. Further processes should be carried out in order to tare the load cell and also the setting up of an automatic calibrator system. Mounting and Testing: The next step will be to mount the engine whose axial thrust is to be measured in the measuring system. Perform all the necessary checks and proceed to power on the system. This should be carried out in a controlled environment under proper supervision and approval. There are other procedures to carry out, part of which majorly involves processing the output of the load cell to ensure an accurate result. The output of the electrical transducer should be conditioned. Conditioning involves filtering against background noise, amplification of the filtered signal and conversion from analog form to a digital signal. The digital signal can then be further processed by a microcontroller to display the thrust force and the unit of measurement.